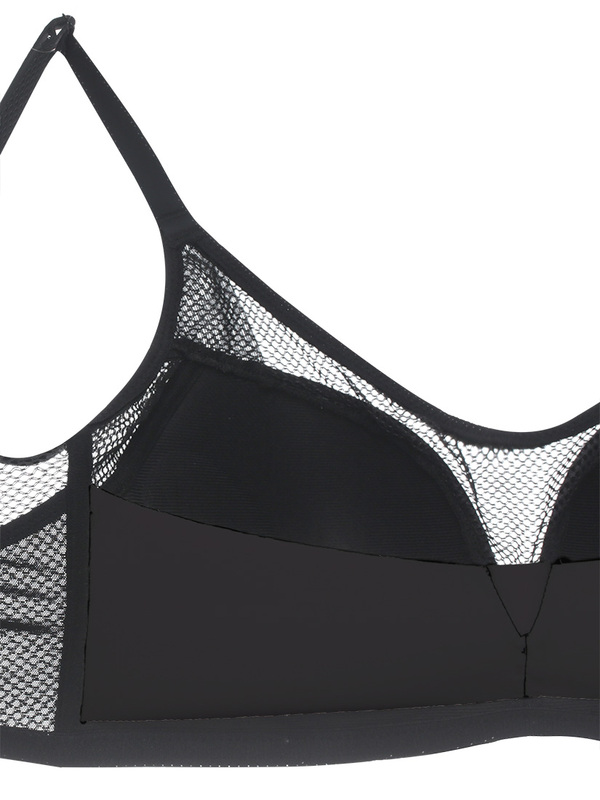 This simplicity plunge wireless bra is featured with faux leather and fishnet trimmed along neckline, is designed as a Cami-bra to work with any fashionable outfits that makes it a versatile layering piece. With Satami's signature "underarm crescent-shaped panels" design and extra wide fishnet-layered back coverage that not just preventing underarm and back flesh bulges occurs and also giving a sense of style. Our patent "Magic Push", a unique stretchable inner support sling, specially designed to enhance push-in effect so as to create cleavage . Suggest to scoop breast tissue onto the support sling to obtain the best cleavage when wearing. Please ref to " Topic 5 - The Swoop and Scoop" for more details. Moulded Light-padded cup create a smooth and natural rounded look.